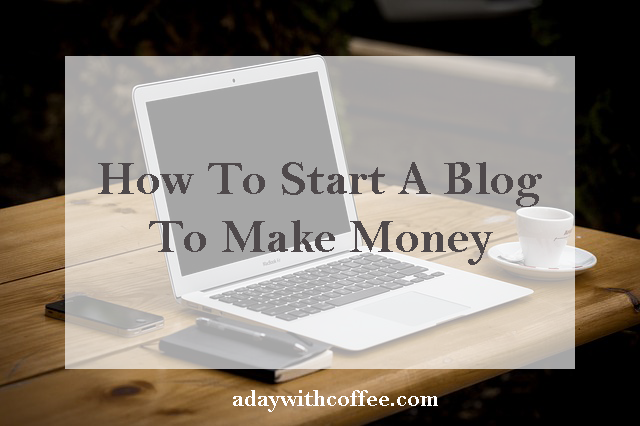 How to start a blog to make money, this might be the though you have in your mind every morning before you get ready to go to your job, today you might give it a try! More and more people will start a blog to make money, if you’re one of them… be welcome you can do it! Today I will tell you four steps to work on to help you to make money from your blog. Before you start your blog, you need to decide what kind of blog will you be working on. Personal blog, where you tell your audience about your life. A business related blog, where you will work on a strategy for your business to share it with your audience and clients, an example of this kind of blog could be those blogs where owners share with you how to blog and they will sell online courses to teach you how to do blogging, writing content, Social Media, etc. On this type of blog, you will need to work hard to build up your authority and your audience, if you succeed, you will end with a great blog where you can make a lot of money. To succeed on this type of blog you will need to work very hard and be on the point of every new tendency or blogging technique. Niche or authority site: better know as blogs where you pick your own niche and you make money from an affiliate system like Amazon. 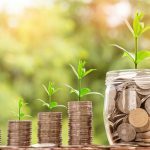 If you pick to start your blog on a niche, the chances for you to start making money are bigger and you might get surprised if you start to make money before the time you expected to do it. The more you read or study about it, it will help you to do better in the short term. What you need to do to start making money on your Niche or Authority site. Today I will talk about what you need to work on your niche site. There’s a few steps you need to work on to find the right niche for your blog. The better you feel about talking on your niche will help you to do better, and your blog will reach its audience faster. As you need readers for your blog to get traffic. Health, if you know something about it, you can start your blog talking about what you know. You will be making money sharing some good, healthy and easy to make recipes and you can link to Amazon about what kind of kitchen supplies you use. Many people will be interested to follow your blog to learn some new recipes!. help people to live more active. help people to enjoy their regular life. help people to love themselves. help people to manage life-family-home-children. Do you know how to make money from home? I’m sure many people will love to learn from you. More and more people are interested to know how they can stay at home and make money. Life will be easier for some young parents if they can stay at home and take care of their young children while they can start a home based business. teach people how to make money on the internet. teach people how to manage their money. teach people how to invest money. teach people how to start saving money. Most of the people on this planet would love to find love this year! Many of them will find love this year and many of them will fail, but each one of them would love to get some help to succeed on it. There are so many things that if you know something on this niche to help them to do it right this time, they will love to follow you, and there are many options for you to find the right category on this niche to build up a website. But I don’t want to stop you to find the right niche for you to make money from your blog, with affiliate marketing there’s no niche that I could say don’t go for it, as many niches are making money from their sites. Best WordPress theme for your blog. If you already decide to start your blog to make money from home, you will need to decide whether go for a free or paid blog, my answer here before you ask is go for a paid platform and WordPress will be my option, you will own your own website; with a free blog whether WordPress, Blogger or other will own your blog. If you want to start your website with a blog, go for a paid theme, and the reasons to go for it; it’s because you will get more options to work on the theme, you can work on the fonts, color and appearance of your blog depending of the theme you buy. You can get someone else to set up your website for you. You can learn how to set up your website for yourself, my recommendation here will be to sign up for the 10 free lesson from Wealthy Affiliate. Once you buy your website theme, you need to start writing content for you blog, don’t worry if at the beginning you’re not an expert, you will learn to write great value for your blog. if your niche is about solving sleeping problems, go to forums or to Facebook groups where people talk about their problem to find some solutions. Write down the problem, and write content about the solutions you have for those problems. If you take part of those forums or Facebook groups, help people to solve their problems with your ideas, never share on those groups any link to an affiliate product or to any link to your blog, as by doing this you can be consider as a spammer and they might take you out from the group. By helping other to solve their problems on these groups you will be consider as an authority on the topic and people will send you some private messages to find out where can they know more about you and about what you talk about, then give them your blog link on a private message, or let them know about your own Facebook page where they can find your website link. How to get traffic on your blog. As a final step to start making money from your blog you will need to get traffic on your blog. Once you get some great value content on your blog is time to work on the next step, get your client to read your blog. This step seems to be the hardest step to succeed on the internet these days, as you and your blog will compete with many more blogs on your niche. This is the reason why writing great value content will help you to stand out from your competence and will point to you as an authority on your niche. Get social, spread the word, let the world knows you’re there to help them to solve their problem. Don’t be shy, your readers will help you to know if your blog content is well written or not, you need to start at some point. You will get comments that will lead you to write more content, answer your readers questions and write more content to help them to find the right product they’re looking for to solve their problem. Share, share your content! we all need it, we need to read it!. Facebook, Twitter, Instagram, Google +, LinkedIn, Pinterest, you have Social Media to help you to get to your audience and your client! I hope to help you to get ready to start writing your own blog to make money from home, if you’re already have a blog and you’re not getting the results you want yet, remember to succeed on your blog you will need to work hard and smart, you might want to change some strategies, or change the way you write your blog content. Listen to your client, and write your content with your client in your mind, the more you help them the more visits your blog will get and the more buys from your affiliate links you’ll get. Then you will start making an income from home! If you have any questions, I’ll be happy to help you! 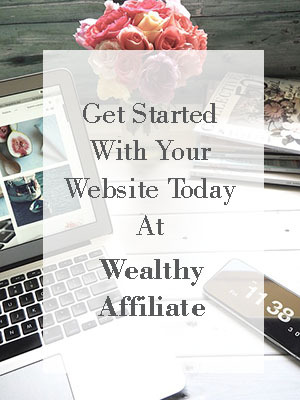 If you’ve decide to start your own website with a blog on affiliate marketing, you can sign up on Wealthy Affiliate, you will find me there, building up my dream business too.